Located just an hour from San Diego, California’s Temecula Valley is making a name for itself as a destination-worthy wine region, not only for its vast selection of wine, but also for its charming inns, welcoming spirit, and up-and-coming culinary scene. 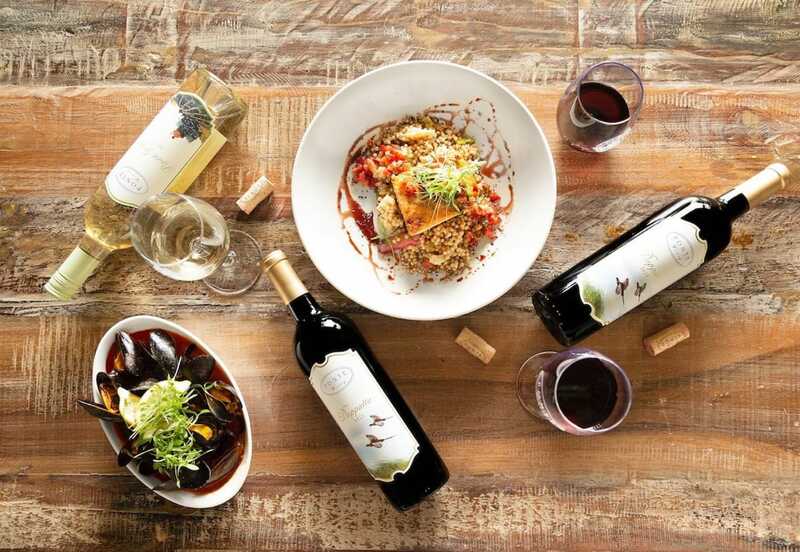 From farm-to-table fare to seafood and creative comfort food made from scratch, these 15 Temecula restaurants offer an alternative way to taste your way through this burgeoning wine region. Extraordinary Artisan Table, a.k.a. E.A.T. Marketplace, is a family owned and operated establishment featuring craft beer, wine, a smoothie and coffee bar, and a market featuring artisanal provisions from local and regional farms. With a focus on food that tastes great but is good for you too, E.A.T. Marketplace offers plenty of healthy eats — including vegan and gluten-free options — whether you decide to dine inside the bright open space or take your food to go. Whether you choose to eat meat or prefer to stick to plant-based foods, E.A.T. Marketplace offers two versions of their popular huevos rancheros, available on the weekend brunch menu: a vegan-friendly version with black beans and cashew crema and the “regular” version for those who need eggs, cheese, and turkey chorizo on their huevos. 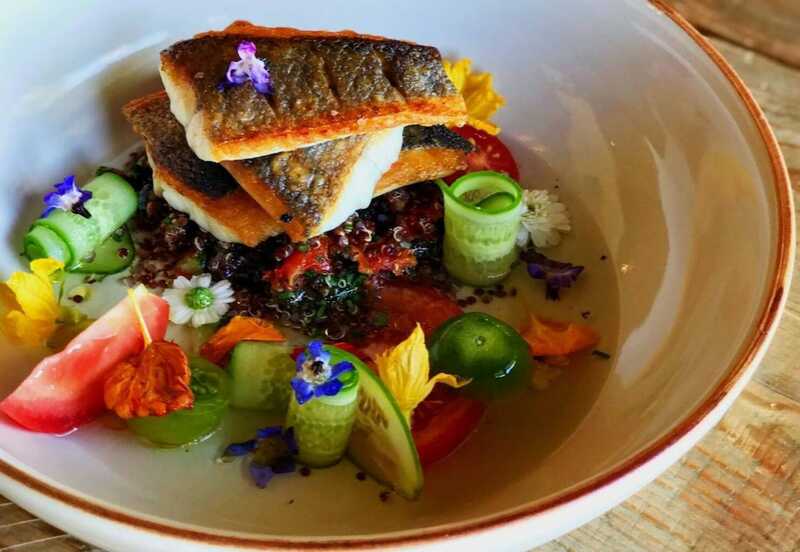 Located at Miramonte Winery, The Flower Hill Bistro offers a menu of tasty eats enjoyed in a classic Wine Country ambiance. 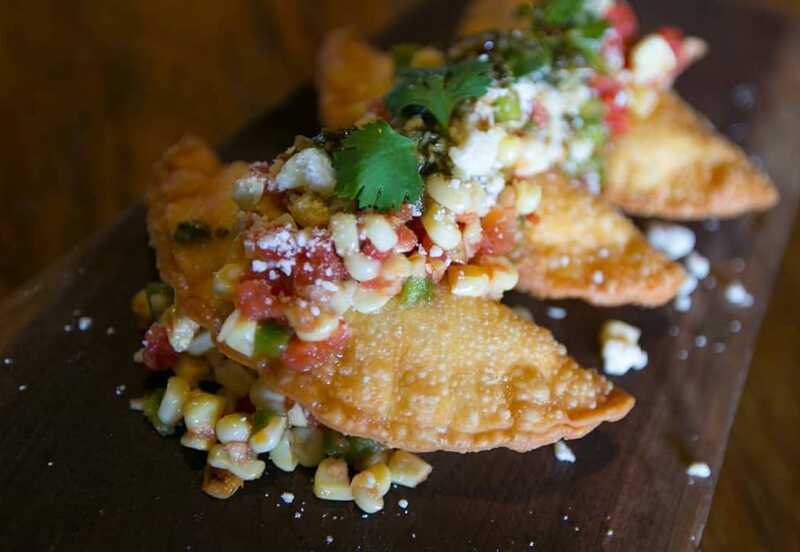 Featuring fresh ingredients and food made from scratch, the menu includes a variety of small plates meant for sharing, hearty salads, and several mouthwatering flatbreads made in-house daily. Every Sunday in the summer, The Flower Hill Bistro offers an impressive gourmet brunch with omelet, waffle, and carving stations, pastry and dessert stations, made-to-order specialty egg dishes, biscuits and gravy, and even bottomless mimosas. You may just want to make a day of it. 1909 is a tribute to the historic Machado building in Old Town Temecula, which was once home to a trading post, auto shop, and, most notably, The Longbranch Saloon — a bar known for being the roughest, rowdiest place in town. While you can still find several bullet holes in the ceiling, 1909 is a welcoming place offering handcrafted cocktails, craft beer, and elevated pub food served in a lively, industrial setting. 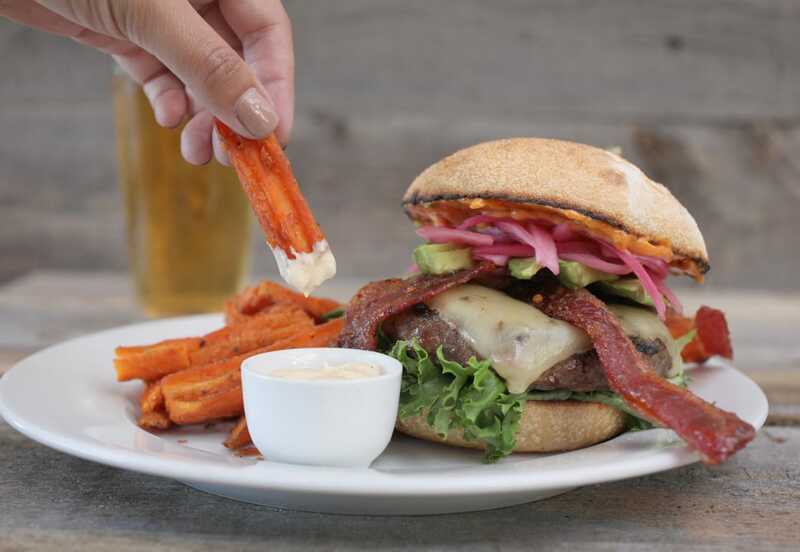 Don’t miss the Bison Burger with smoked applewood bacon, best enjoyed from the large patio while savoring the region’s characteristic warm weather. Wash it down with a classic Bloody Mary (also served with bacon) and we can guarantee you’ll leave feeling happy and satisfied. Built on the foundation that food should be honest, healthy, and created with integrity, The Goat & Vine is dedicated to making all sauces, dressings, breads, and doughs from scratch daily, so the dishes taste as fresh as possible. 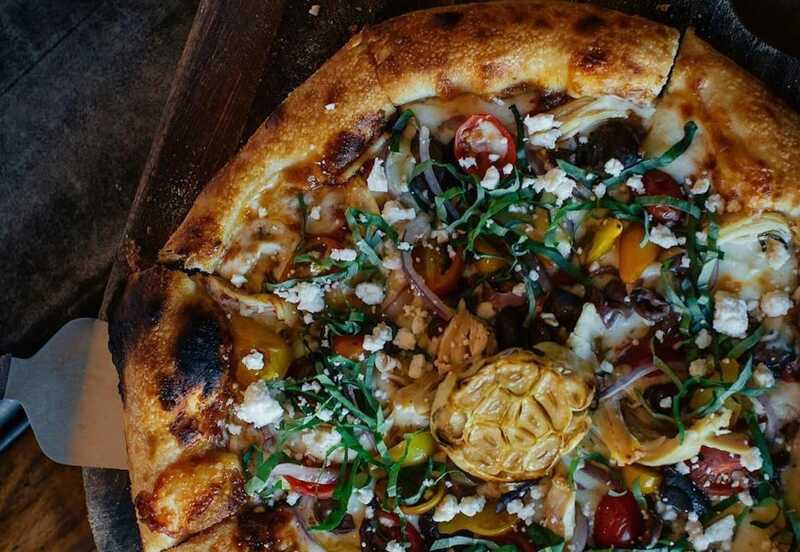 From inventive salads and delectable pizzas to a variety of housemade meatball dishes, The Goat & Vine knows how to do elevated comfort food right. It’s not uncommon to have to wait for a table at this popular eatery, but if you’re up for a more convivial dining experience, sit at the bar or at one of the community tables and you’ll likely cut your wait time dramatically. The Restaurant at Ponte is dedicated to Mediterranean-inspired Wine Country cuisine using locally sourced and natural ingredients. Open for lunch daily, as well as dinner on Fridays and Saturdays, you’ll love the restaurant’s laid-back, romantic ambiance and large outdoor patio — a perfect place to enjoy live music on the weekends while taking in the surrounding vineyard views. 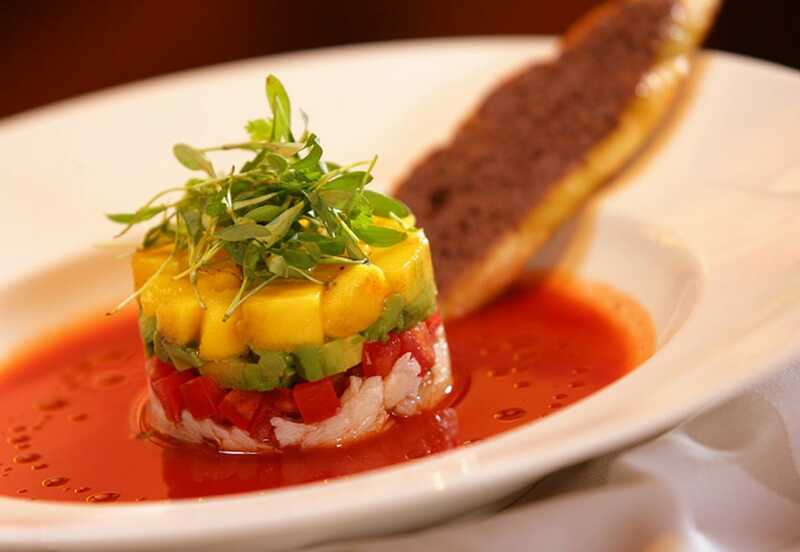 The Restaurant at Ponte is part of the 90-room boutique hotel, The Ponte Inn, known for its relaxing vibe and destination-worthy amenities, like the semi-Olympic sized pool, poolside bar, and elegant rooms overlooking the gardens and vineyards. Family owned and operated Bushfire Kitchen is all about serving delicious and healthy food at an affordable price. Utilizing local and organic ingredients, everything on the menu is freshly made and prepared to ensure quality and freshness. Without the use of preservatives or unnatural ingredients, Bushfire Kitchen makes sure you don’t have to compromise on flavor to enjoy delicious, nutritious food. Most of the menu items are gluten-free and the restaurant is happy to cater to specialty diets whenever possible, making it an easy place to dine at if you or a loved one is on a strict diet. 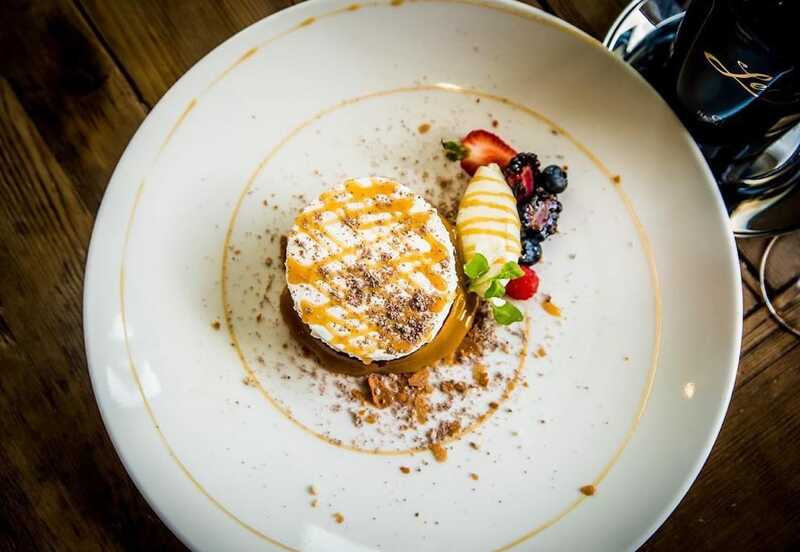 Winner of USA Today’s 10Best Wine Country Restaurants and ranked #1 Best Restaurant of the Inland Empire for four consecutive years, The Restaurant at Leoness is a favorite amongst foodies and those looking for a special al fresco dining experience. 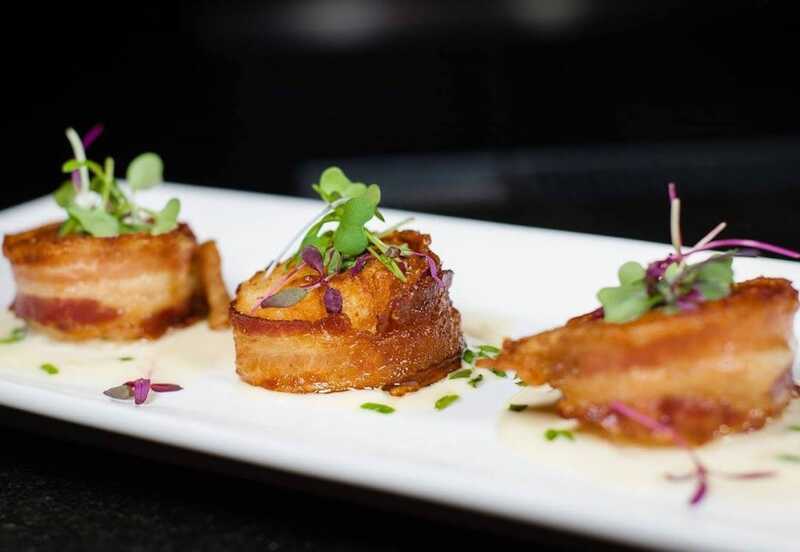 From seafood and pasta to prime cuts of filet, the French-style food from Chef Daragh Matheson is driven by the seasons and designed to pair with Leoness Cellars’ wide assortment of wines. Leoness Cellars is open daily for tastings and tours, so if you plan it right, try to arrive early to enjoy a tasting overlooking the valley before heading to your table for dinner. The Vineyard Rose at South Coast Winery offers a relaxing fine dining experience in Temecula Wine Country, where you’ll find a Tuscan-inspired dining room with vaulted ceilings, a wine bar, and terrace from which to enjoy the restaurant’s contemporary California cuisine. The seasonal menu highlights fresh, locally-grown ingredients, while thoughtful wine pairings add to the overall experience. Open for breakfast, lunch, and dinner, if you happen to find yourself at The Vineyard Rose for brunch, don’t miss trying the sinfully delicious Bananas Foster Pancakes, served with vanilla bean sauce, bananas foster sauce, and a choice of bacon or sausage. 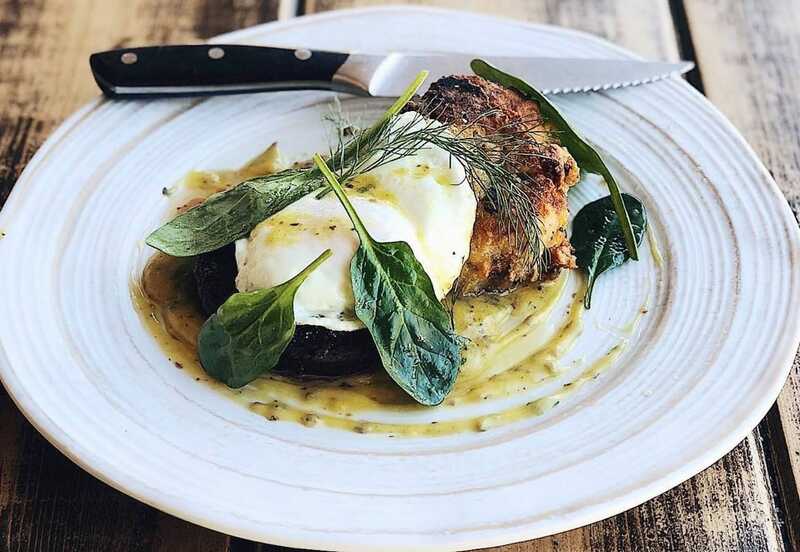 Cork | Fire Kitchen offers rustic, farm-to-table American fare with an emphasis on local, foraged, and organic ingredients. The restaurant is part of the Temecula Creek Inn, a Condé Nast Traveler Readers’ Choice Winner for Top 25 Hotels in Southern California 2017, so whether you come for breakfast, lunch, or dinner, you can expect the same great service and hospitable vibe the Inn is known for. The restaurant overlooks the Inn’s 27-hole championship golf course, so you may just want to grab an early breakfast of churro waffles or breakfast empanadas before heading out to play a round. 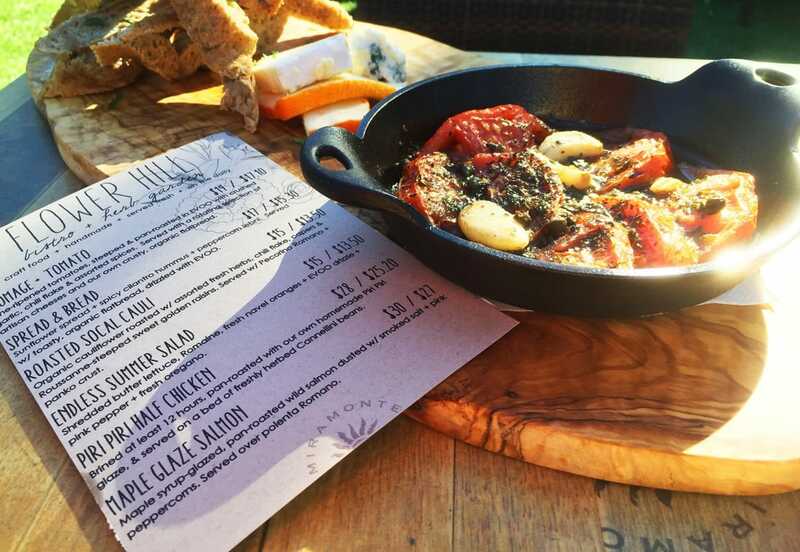 Located in Old Town Temecula, this casual eatery serves up innovative pub food in a restored home from the 1950s. The farm-to-table fare rotates seasonally to reflect what’s in season, and the salads, burgers, sandwiches, and desserts will win you over with their delicious flavors and cheeky menu names. A full bar, patio seating, and live music on the weekends add to the overall appeal of PUBlic House. While the Kobe burger is one to write home about, guests love the fried brussel sprouts, served with maple syrup, balsamic reduction, and pomegranate seeds. Located inside the Pechanga Resort and Casino, The Great Oak Steakhouse offers a fine dining experience where high quality steaks, seafood, and side dishes can be enjoyed in an elegant atmosphere. To elevate your meal, be sure to order wine from the expansive wine list — a list which has earned the restaurant recognition from both Wine Spectator and Wine Enthusiast. You’ll have to pass through the casino to get to the restaurant, so try your luck at one of the 4,000 slot machines or 154 table games before or after dinner. After all, the Pechanga has the largest casino floor in all of California. Situated in the heart of Old Town Temecula, The Gambling Cowboy serves up classic steakhouse items in an eclectic, western-themed atmosphere. 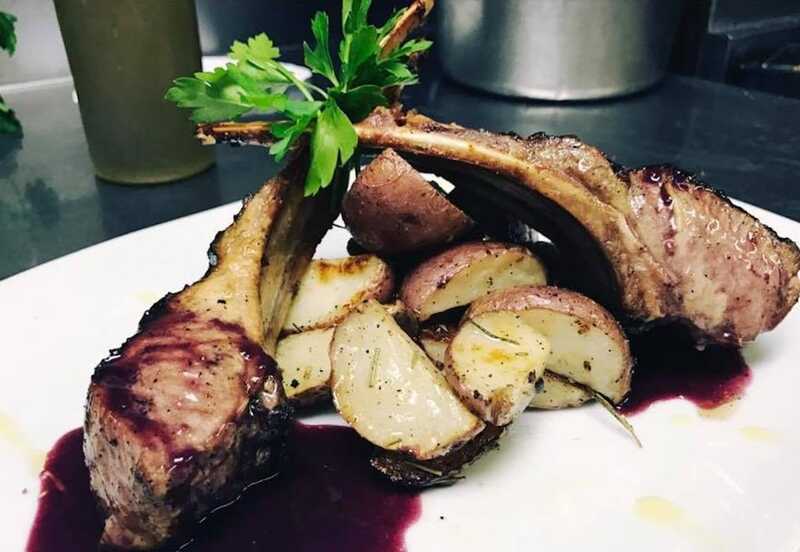 Offering only the highest quality, aged, Midwestern corn-fed beef and a wine list that showcases many local wines, The Gambling Cowboy makes for a great place to dine out in Temecula. The Gambling Cowboy is all about prime cuts of beef hearty enough for the hungriest of cowboys, like the house favorite: a 24-ounce Certified Angus bone-in Ribeye known as The Gambler, served with homemade garlic mashed potatoes or Cowboy potatoes, house shucked, roasted corn, and seasonal vegetables. 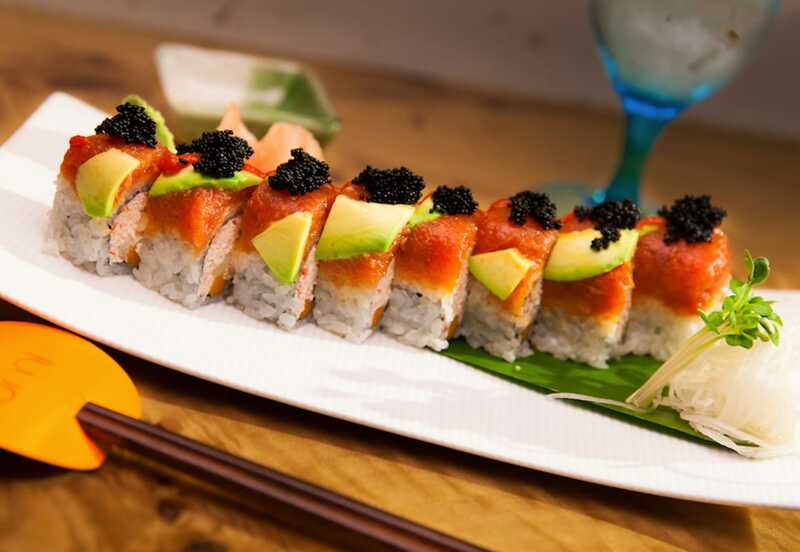 Umi Sushi & Oyster Bar may be one of 13 restaurants at the Pechanga Resort and Casino, but Umi, which means sea in Japanese, stands out for its creative menu, good service, and attention to detail. From traditional sushi and sashimi to oysters on the half shell and innovative rolls, expect quality seafood prepared with precision. 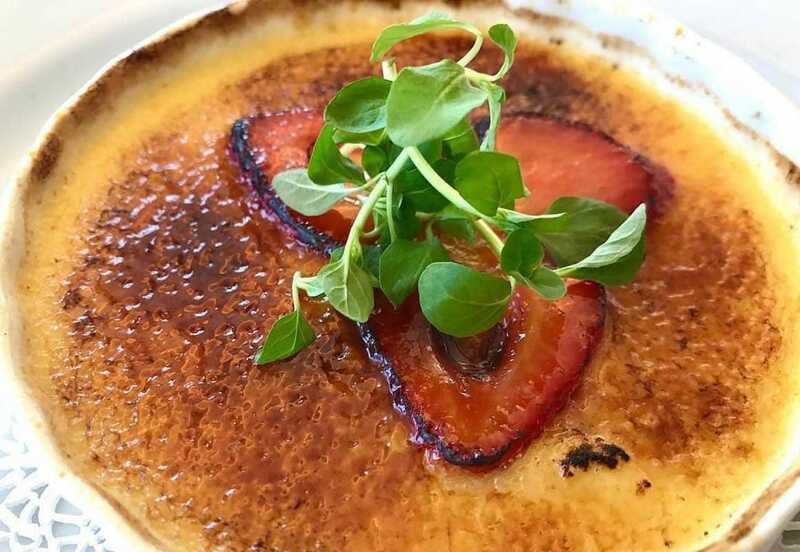 The menu is predominantly seafood-based, but even the non-seafood items are sure to please, like Jidori Chicken with teriyaki sauce and wild mushroom risotto or the Ribeye Steak with white corn polenta. If you do love seafood, though, the Chilled Grand Seafood platter for two is sure to impress, complete with a whole maine lobster, four jumbo shrimp, four oysters, hotate ceviche, tuna poke, and a King Crab leg. 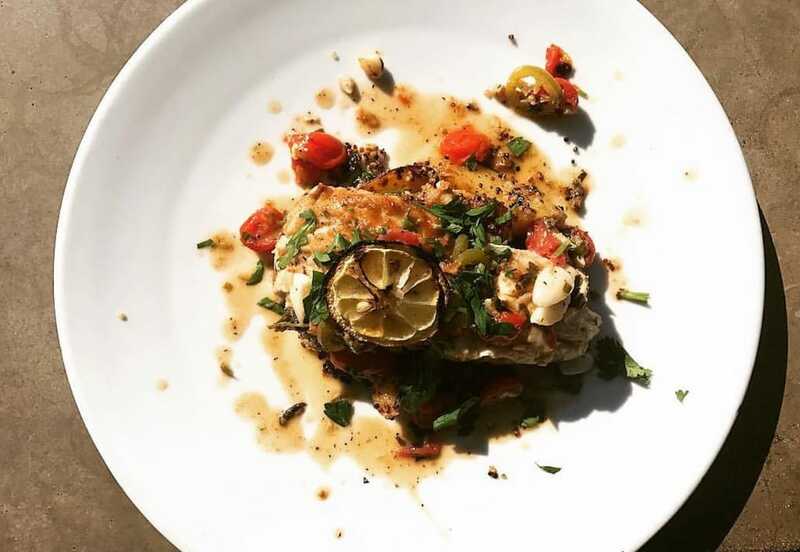 Experience a little slice of Italy with a visit to Gourmet Italia, an intimate Italian restaurant in Temecula owned by Restaurateur Alessandro Prestifilippo, who moved from Sicily in 1988. Gourmet Italia prides itself on its vast and reasonable selection of food, friendly staff, and authentic details. The welcoming, romantic vibe only adds to the whole experience. 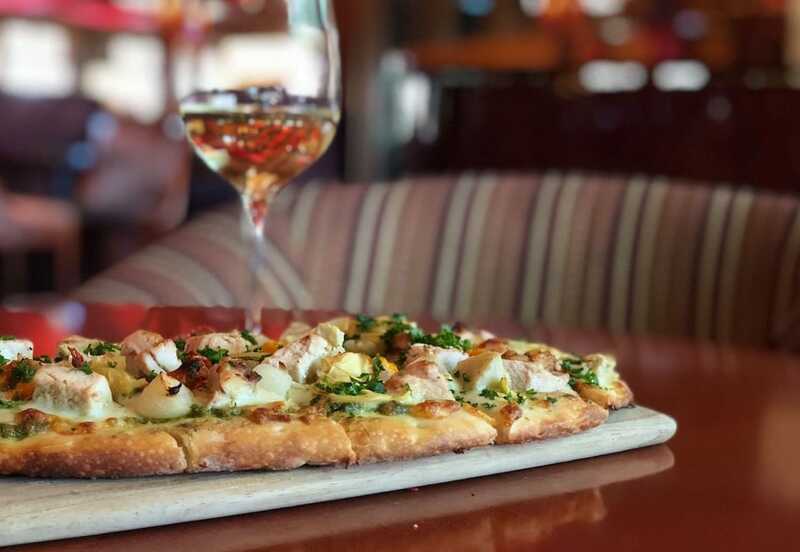 Gourmet Italia’s Wine Room and Lounge caters to those looking for a more casual evening, with small bites, wine from the restaurant’s Poggio Leano label, and live music Wednesday through Sunday. Perched high above the Temecula Valley, Pinnacle Restaurant at Falkner Winery offers incredible views of the area’s rolling hills and vineyards. Open for lunch daily, the restaurant includes both indoor and outdoor seating from which to enjoy the delicious Mediterranean/American cuisine. If you’d rather take your food to go for a picnic-style lunch, the restaurant offers a limited takeaway menu with sandwiches, wraps, and cheese plates. Or, for a more unique dining experience, the VIP “Wine Cave” barrel room below the restaurant can be rented out for groups up to 20 people.